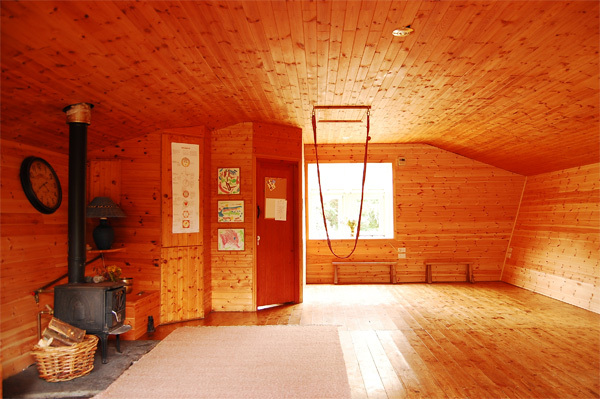 Slí na Bandé’s workshop space may be rented by individuals facilitating groups or workshops, and is suitable for a diverse number of uses: performances, craft workshops, dance sessions, meditation retreats, Buddhist retreats etc. 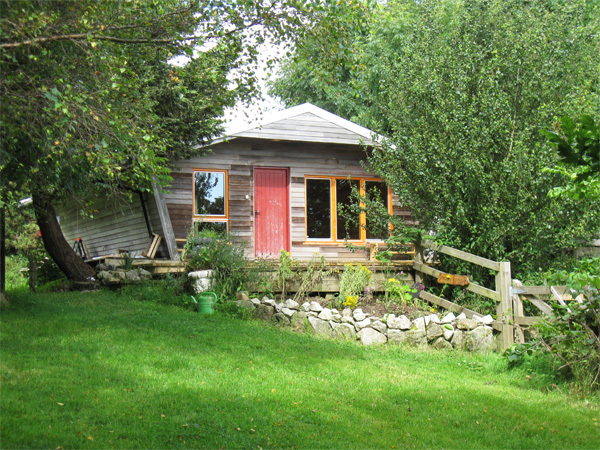 The workshop space is a freestanding chalet with beautiful views of countryside extending as far as the Irish Sea. Built entirely from wood and other environmentally friendly materials, it contains a bathroom, kitchen and wood-burning stove. 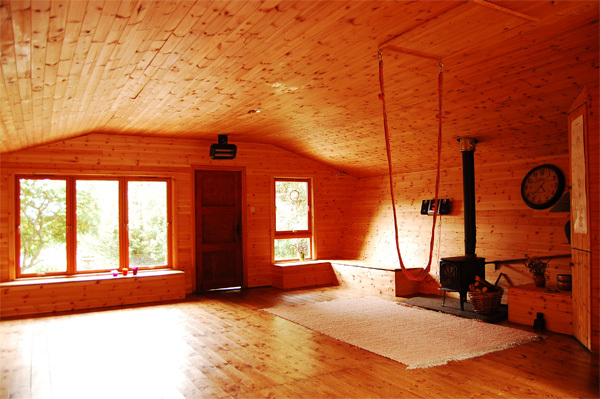 The chalet comfortably holds 20 people doing yoga or similar activities. The chalet is adequately equipped with cooking facilities (4 gas burners, a water kettle, and sink) and is ideal for groups that want to bring their own lunch. Yoga mats, blankets, bolsters, and folding chairs are available for use (if needed) at no additional cost. The workshop space may be rented for €175 per day, or for €250 for a full non-residential weekend (from Friday till Sunday evening). 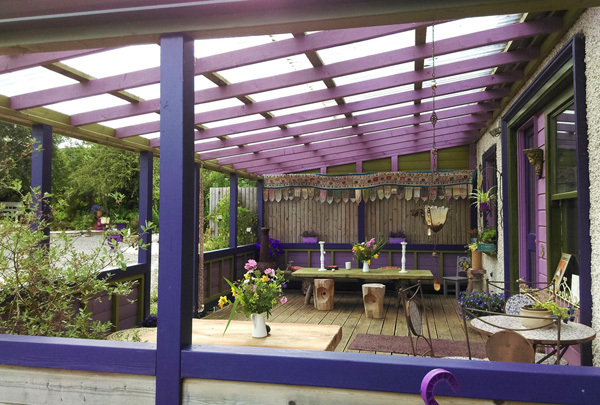 The workshop space may be rented for €200 for a residential weekend; Overnight accommodation (2 nights) and six meals for each person is an additional €150. If the number of residential group members is over 10, accommodation and meals for the group facilitator and one additional member is free . These prices are negotiable for groups with different requirements. If the group is less than 6 people, the cost is €180 per person sharing for B&B, lunch and dinner for 2 days. The Coffee House is available for €100 per day (not including food or drinks). Hot water is available for tea and coffee. Groups upon departure are expected to leave the facilities as they found them. To discuss availability/rental, please contact Marlene.